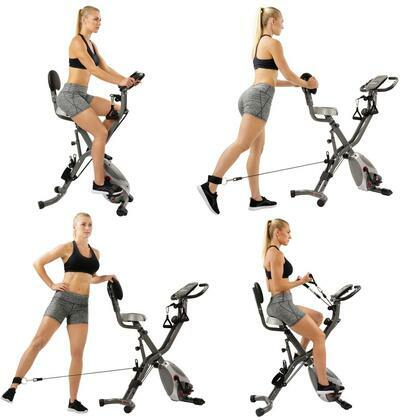 Exercise resistance bands work arms, chest, back, and shoulders for total body workout while you bike. A great all-in-one full body workout. 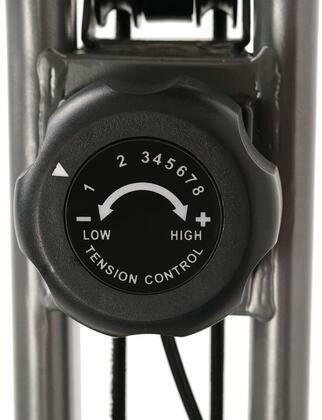 Textured non-slip foot pedlas will accommodate all sizes, while remaining grip to ensure safe footing during the most demanding vigorous workouts! 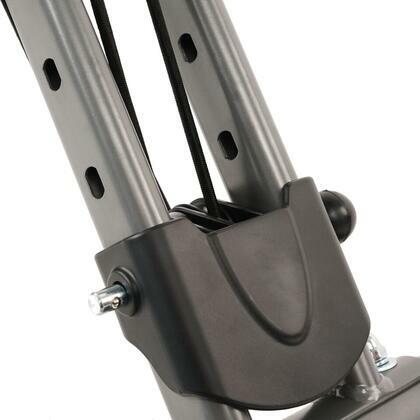 Foot straps keep your feet saddled in so you can focus on the workout, and not if your feet will slip off. 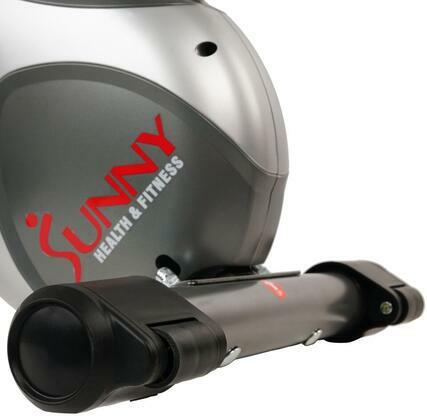 Extra padding and cushion to ensure proper blood flow in the glutes for prolonged and vigorous workouts. This extra padding helps relive pressure points of sitting and tail bones, and relieves the "falling asleep feeling" when circulation is cut off. 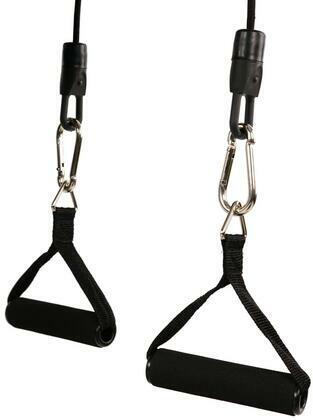 The durable arm and leg resistance bands allow targeting of various muscles while maintaining a full range of motion. 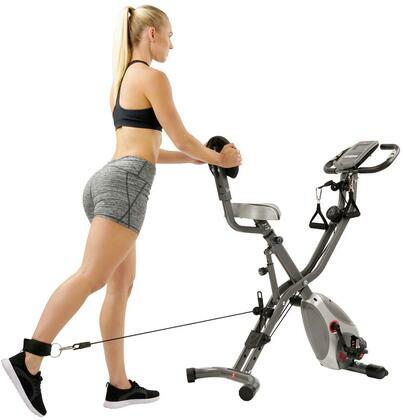 Tighten and tone your muscles while you enhance flexibility, strengthen your core and lose weight all with this full body workout fitness machine. These multifunction resistance bands come with soft grip handles for a comfortable workout during repetitive movements. 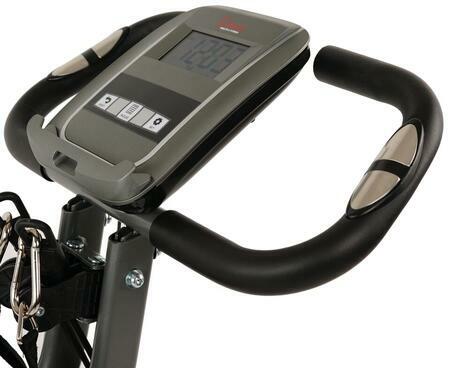 Build endurance customizing the adjustable resistance levels on the magnetic belt drive mechanism which keeps the stationary bike low maintenance and reliable. 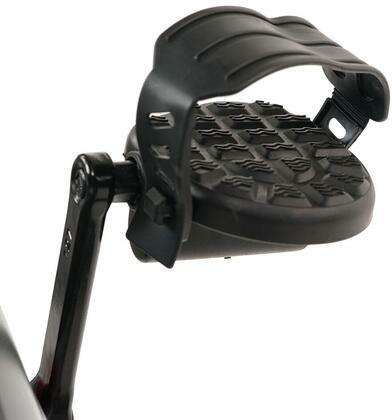 Adjustable pedal straps are included for added safety. 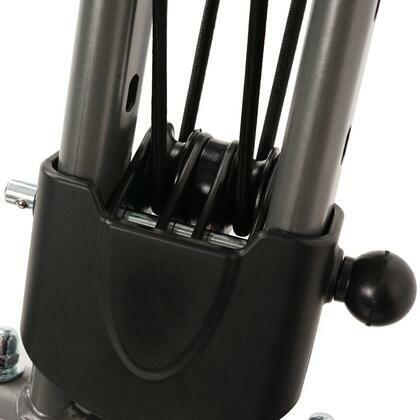 The compact design allows you to fold and store your machine when you need extra space. 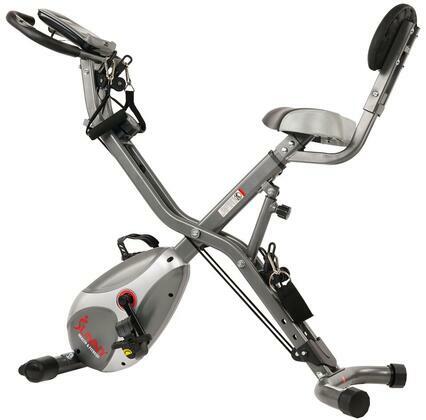 The transportation wheels and folding capabilities of the total body fitness machine gives you control of your workout and in-home space! 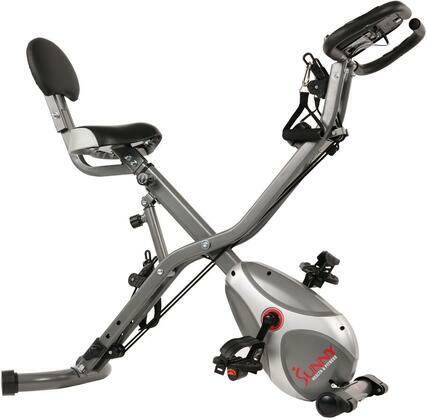 Wide, padded seat holds up to 265 lbs allowing for a comfortable and longer ride. 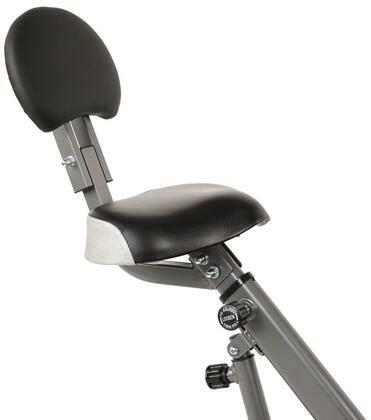 The stationary bike is also built with a backrest for added support. 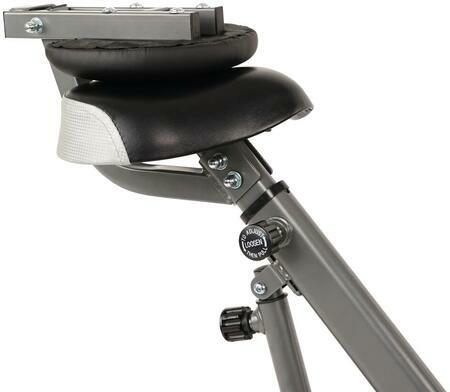 Adjust the seat up and down for better proximity to the pedals. 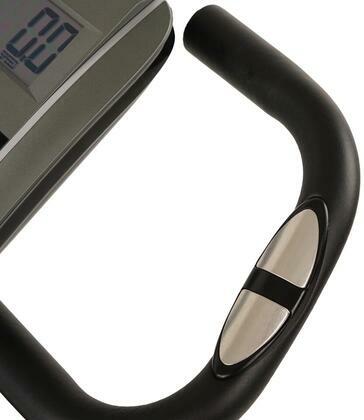 Effectively tracks your fitness progress with the easy to read multi-function digital monitor. 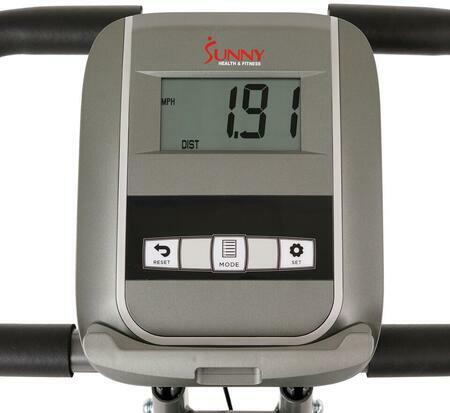 Monitor your distance, speed, time and heart rate to see how hard you working and have fun watching those calories burn off to keep you motivated. 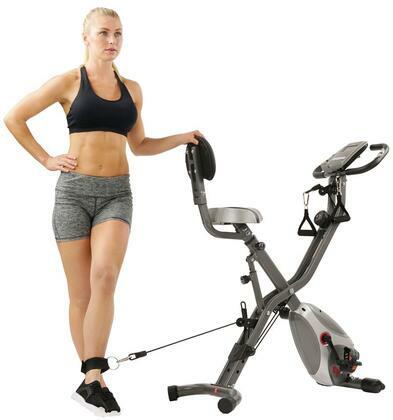 Designed for a workout that you can feel throughout your body, this amazing exercise machine is perfect when used correctly. 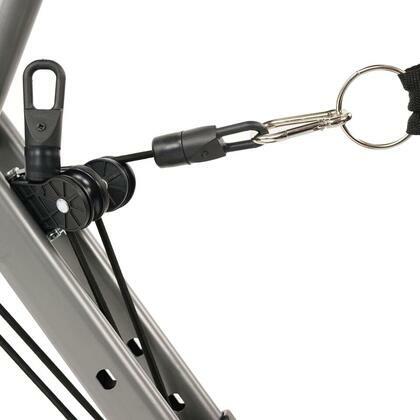 Utilize the leg resistance bands found at the bottom of your bike. Strap your legs in to perform split squat stretches, leg extensions, and side-kicks. 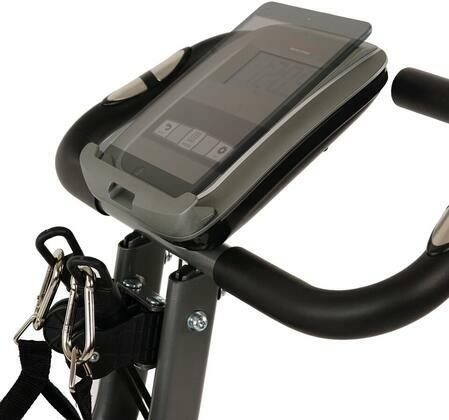 For an optimized cardio workout, crank up the resistance of your bike and pedal in high intensity intervals. 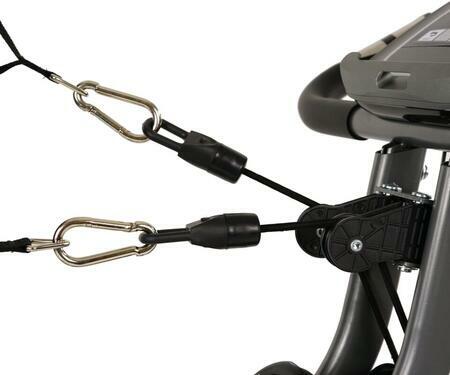 Use the resistance bands while pedaling to perform lateral pulls, lateral pull downs, and bicep curls. 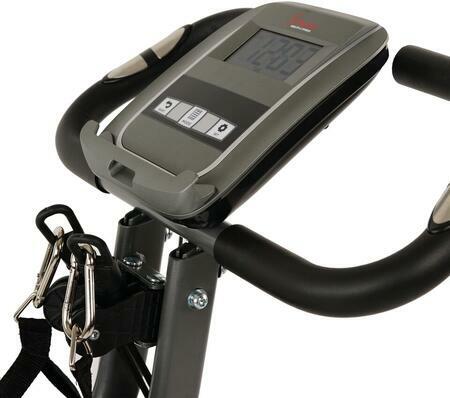 Maximum User Weight: 265.00 lbs.